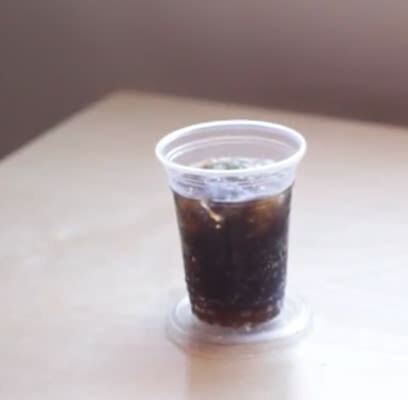 Chances are you avoid using coasters anyway so you’ll likely skip right on past this one, but did you know that those plastic lids that come with your McDonald’s or Burger King or, well, any other fast food cup are designed to double as coasters? It’s easy to trip over some extension cords and unplug them, causing frustration as you try to light an adult film set…or, ya know, anything else. Just knot the two cords around each other as pictured above, and it’ll keep them from ever coming undone unless you want them to. Have you ever opened up natural peanut butter and noticed all of the oil pooled on top? Well, first of all that’s supposed to be there. But you’re supposed to store your peanut butter upside down so that oil, and all of the other oil, distributes evenly. Go and watch a nature documentary on monkeys, because they’re adorable and hilarious. But while you’re doing that, note how they open up their bananas. They eat from the end we think is the bottom, as the peels are designed for the banana to be pushed up and out from that end. 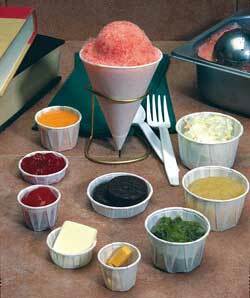 If you’re ever in a fast food joint and noticed the little paper condiment cups, you’ve no doubt noticed they’re crinkled and folded up a bit. You’ve probably wondered why, too. Well, because they’re designed to expand, giving you more area in which to pour that delicious ketchup you need with your fries. There’s really no wrong way to use beer, unless you’re accidentally spilling it or drinking some terrible domestic brand. But did you know that along with being delicious, beer makes a great polisher for your gold? Assuming you have gold?